Agriculture, horticulture and gardening are experiencing rapid changes in light of the dramatic effects of climate change and resource scarcity – global processes that are creating numerous barrier for farmers, growers, gardeners and manufacturers. Technology focuses on sustainable models for operation to minimize the effect and the current keyword is – ADAPT. Keep your competitive edge in your niche by being at the forefront of innovation and adoption of newest solutions and practices. The best way to keep your fingers on the pulse of your industry is to be a presence at trade fairs and exhibitions. 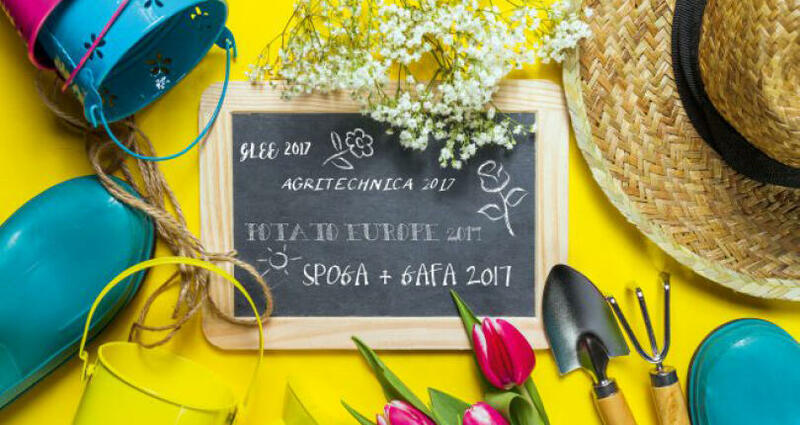 GLEE 2017 The opening event in our list is a broad one as it encompasses products, services and solutions for the garden, pet and sports sectors. The exhibition is a profitable market place for exhibitors to showcase everything from animal cages, aquariums, bedding, collars, excess pots and garden furniture to leashes, pet food, plants, statues and stone products. This year the event is hosted for the middle of September in Birmingham, UK, and attendance is anticipated to reach new highs. A smart investment on your part for direct sales and lead generation. AGRITECHNICA 2017 Late in the year, between November 12th – November 18th, this fair is going to unveil the future of agricultural machinery and equipment. Organizers predict for a good 1600 exhibitors to host demonstrations and informative presentations on the ground. The attendance rates are estimated to exceed 98,000 professionals including farmers, contractors and machinery specialists. The Innovation Award AGRITECHNICA returns yet again with a new line-up of contestants who embrace new technologies and seek groundbreaking solutions to the industry’s most pressing challenges. The location? Hannover, Germany. POTATO EUROPE 2017 The name says it all – this exhibition is going to bring visitors an in-depth state of where the potato production industry currently stands on a global scale. The event takes place in mid-September in Emmeloord, Netherlands and draws in 10,000 insiders on average. That’s more than a solid number for exhibitors who plan on growing their client list and extend their reach to new markets. The program shows a lot of versatility as it covers everything from equipment and tools to genetics resources, species innovations, disease prevention cross-breeding, storage and preserving tubers. 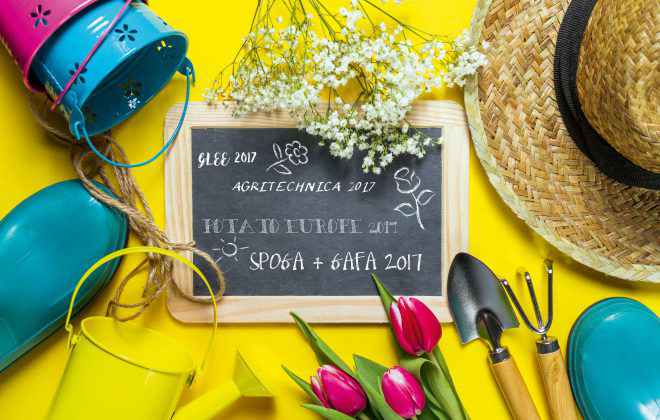 SPOGA + GAFA 2017 Last but not least on our list is this trade fair hosted in Cologne at the start of September, which dedicates itself to trends and innovations in the garden industry. We are talking about 2000 exhibitors and 40,000 visitors interested in placing down orders. If you have prepared a new product for launch – this is the platform to build buzz and gauge interest. Another bonus is the opportunity to keep an eye on your biggest competitors and make brand new contacts with decision makers. We’re reached the end of our reviews of events for the agriculture, horticulture and gardening industries. Does a trade fair speak to you and feel like a good financial investment? Trade Fair Trips ltd is ready to take you there and make it light on your budget. We specialize in putting together business trips in all price categories. Tell us where you need to go and the very next day, you’ll receive the top offers that offer best value.